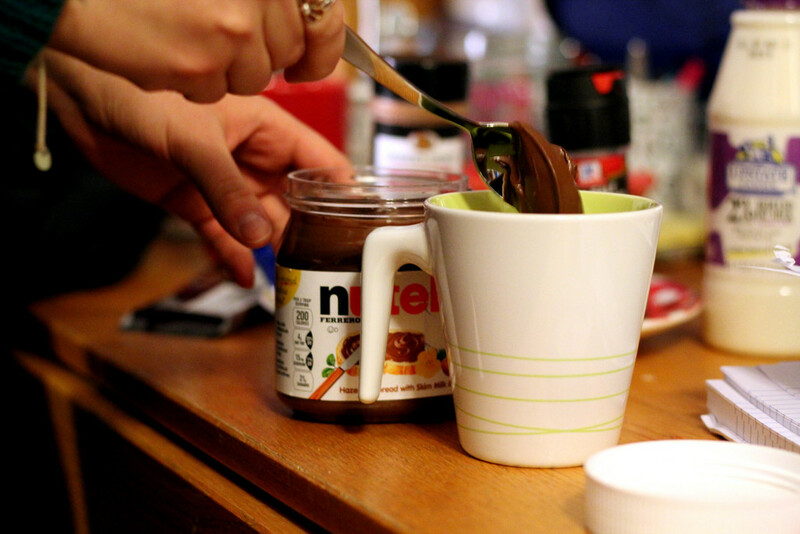 Waking up to Nutella for breakfast? I think yes. Ever felt like having time for breakfast in the morning was an accomplishment? It seems to be the norm to skip breakfast these days, especially with 8 am classes and barely having any time to get ready in the morning. Having breakfast can get you excited for the day, so here’s a list that’s sure to get you pumped about your morning meal. Hot chocolate is such a comfort in the morning, and the Nutella and chocolate version of this recipe only makes it better. So if you’re a hot chocolate kinda person or you think you should be cutting down on all that morning caffeine, try this out as a done deal. Cereal is as basic as breakfast gets for most people, so why not take up the challenge of spicing it up a little? One of the many foodie highlights of 2015 was the discovery of Nutella cereal, and we’ve got the perfect three-step recipe for you right here. 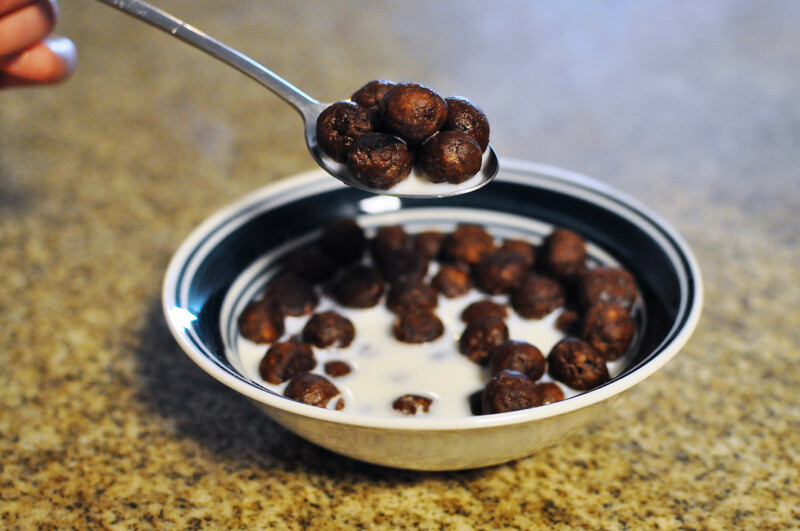 Since it contains the hazelnut-based mixture that God gifted humanity with, this Nutella cereal has a strong and distinct flavour that adds tons of consistency and taste to the milk in your breakfast bowl. Looking for something quick for a time saving grab-n-go? These simple and delicious breakfast burritos will give you the kick you need to get out of bed and they make a great nutritious meal. 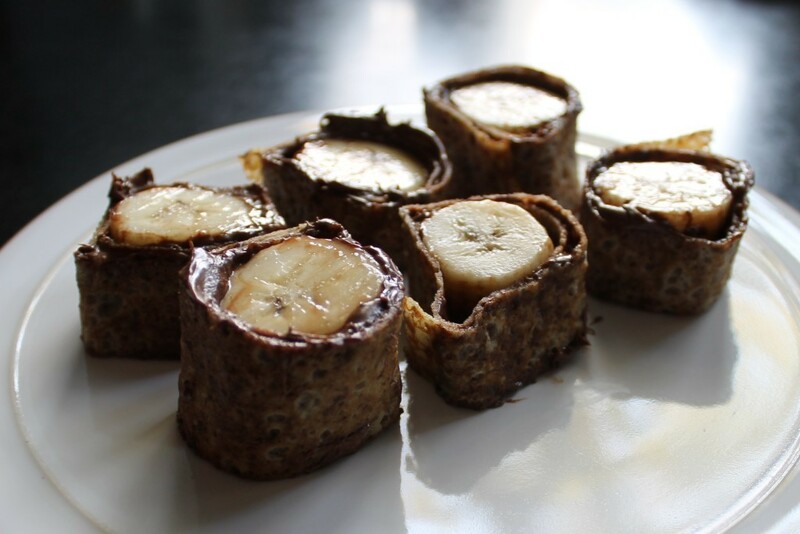 So you’ve got your fibre, potassium, and carbs for the morning… plus Nutella and voilà! Breakfast is served, no nutrients compromised. 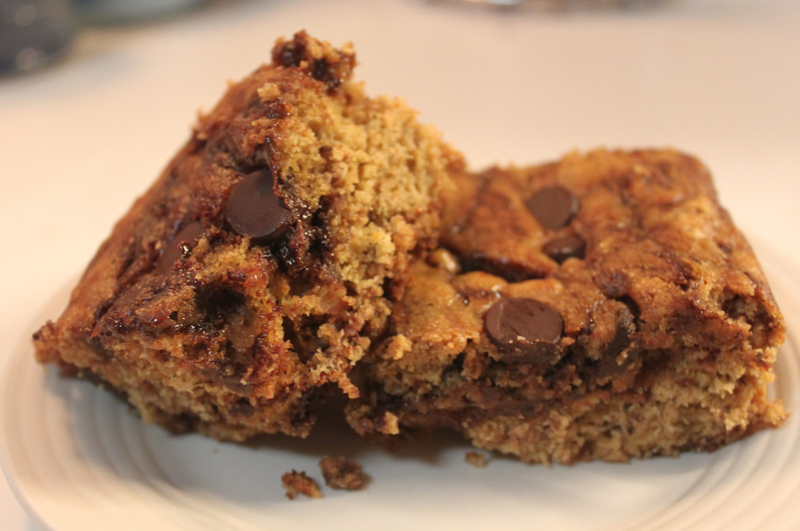 Banana bread is one of the most favoured comfort foods, and we’ve all dreamed of adding in chocolate, so why not just have some Nutella Banana bread? If you’re anything close to a die-hard Nutella fan as I am, you’ll understand what I mean when I say that cocoa powder is too basic. 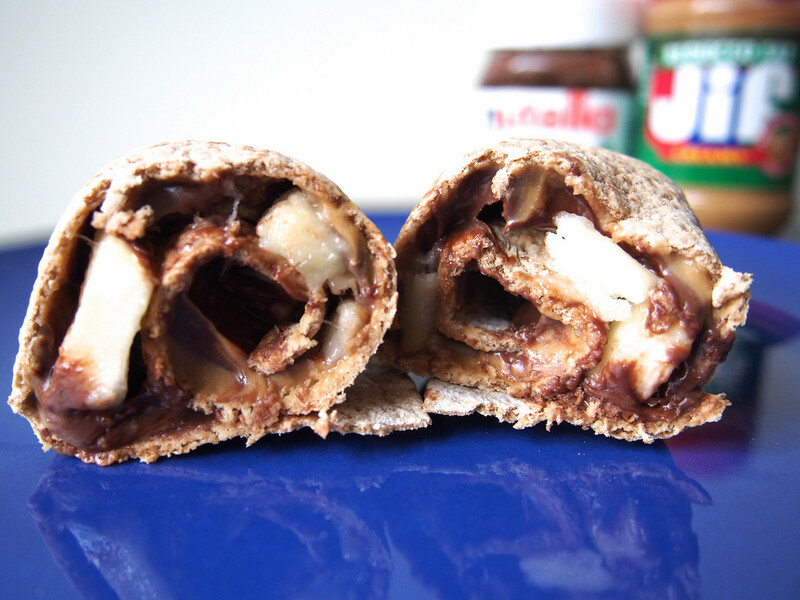 So jump on the bandwagon and give it a twist with some Nutella. If you’re a granola kind of person, we’ve got you. 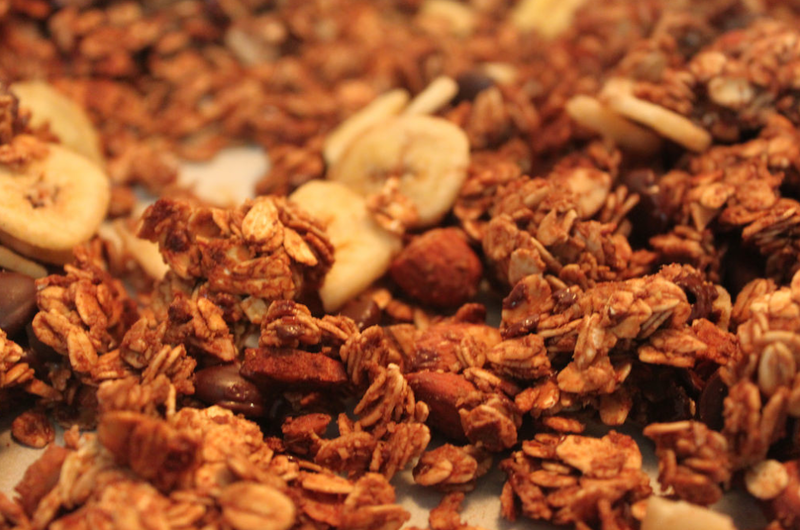 Try out our own recipe for Homemade Nutella Banana Granola. And the best part? You can double these up and keep a batch as an afternoon snack for later in the day. Killing two birds with one Nutella jar? Sounds like a plan. The point here is not to overdo it with the Nutella. It’s a game of balance – and you can’t win if you’re biased. Bread is a pretty standard breakfast carb staple, so why not fancy up your otherwise typical Nutella sandwich with an entire braided loaf? 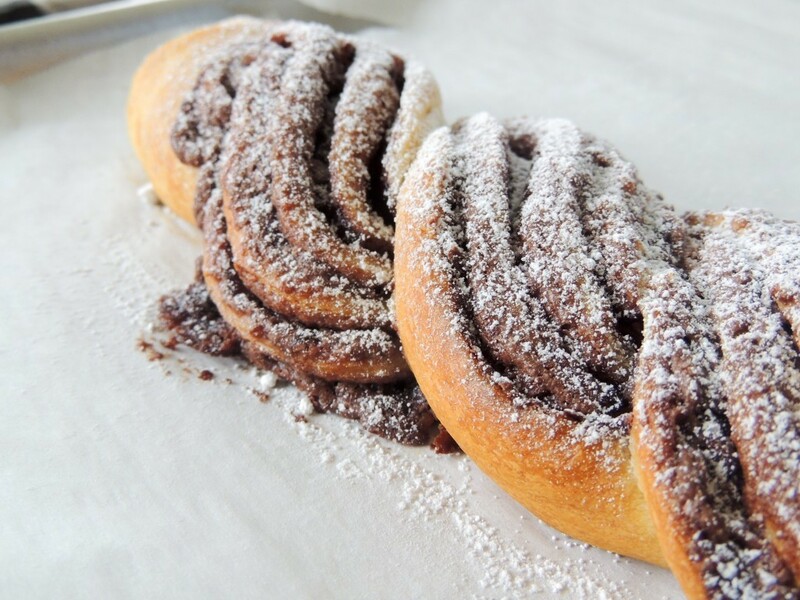 This two-ingredient Nutella braided loaf couldn’t be more simple, so go ahead and make a baker of yourself. #SpoonTip: Make two or more servings of this delicious braided loaf and keep it in the refrigerator. This will be able to last you at least a week and all you’d have to do is pop it into the oven or microwave to heat it up before devouring. If you prefer bite-sized morning eats to grab on the way out or to snack on in traffic, try this Japanese-inspired recipe instead of the Mexican-influenced burritos. This recipe takes on the concept of sushi and transforms it into a great morning snack. Crepes are used instead of seaweed and bananas replace the rice. 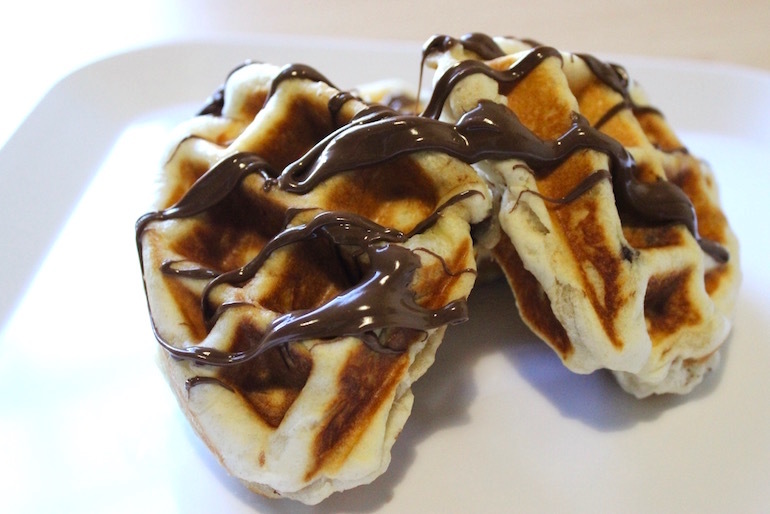 Nutella is the glue to this recipe and of course, what makes them irresistible. 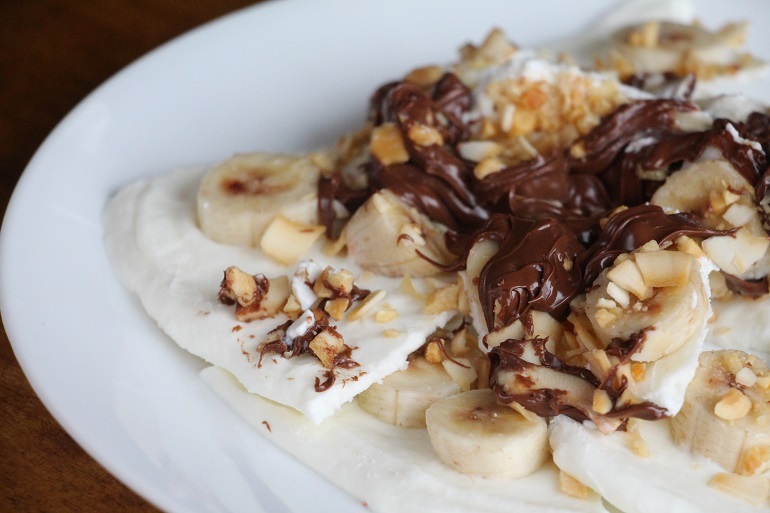 This guilt-free banana and Nutella Greek yoghurt bark is exactly what you need if you want a refreshing breakfast that isn’t too much ‘munch work’. Yoghurt and fruit are a typical breakfast choice, and are especially nutritious (not to mention delicious) together. This one is for all those #cheatday believers out there and is perfect for a lazy weekend morning of indulgence. 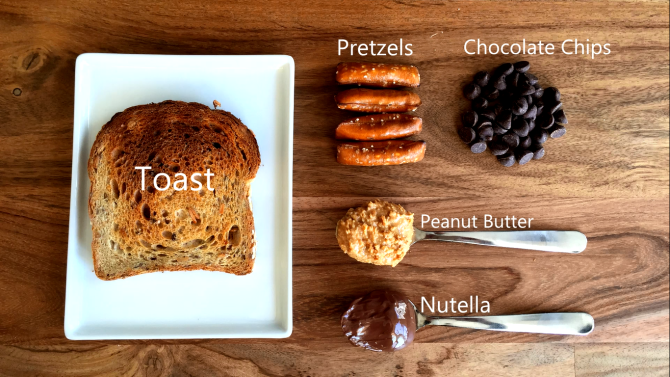 So get yourself out of bed on an off day and get a hold of some snazzed up Nutella toast that will take 5 minutes of your time. You can thank me later. 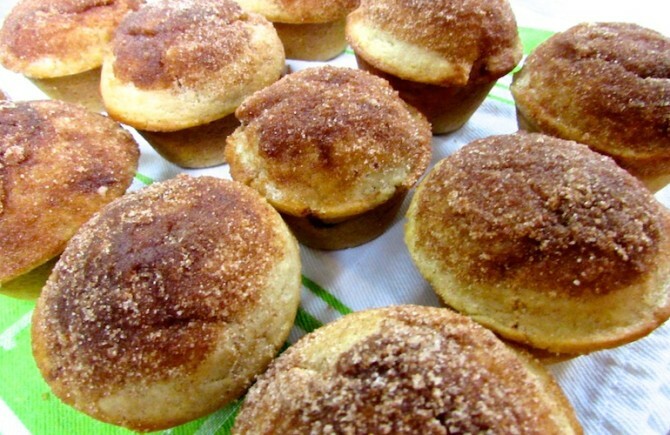 These doughnut muffins are a sweet treat that are delicious and mobile, especially since you’d be able to take it with you in a container for a late morning snack. It is not the ideal first thing to put into your body, so try holding these off till later in the morning if possible. They definitely make for a good treat to have after a filling and nutritious breakfast. Going French in the morning can be a decision your taste buds will thank you for. Adding a smooth and rich consistency to your usual croissants with some Nutella can take it to the next level – who could complain about that? And what’s better? These Mini Nutella Croissants can be home made and freshly wafting through your kitchen in under 30 minutes. This twist on the classic French croissant is a great supplementary option to consider over mini croissants. If you like your Nutella straight up, then straight up you shall have our it, but don’t overdo it. 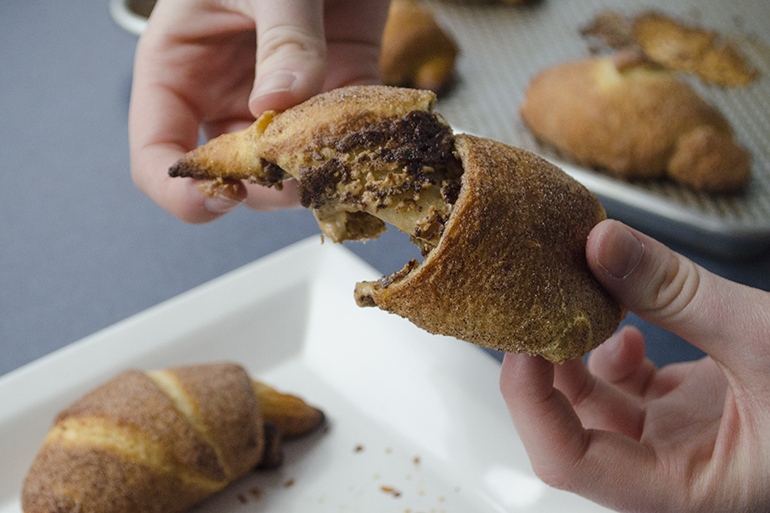 Our Nutella-filled croissants are a balanced combination of butter croissants and hazelnut chocolate with a hint of cinnamon sugar. It gives you just the right twist to the classic pastry and will surely be a new favourite way to kick start your morning. Who doesn’t love the smell of waffles in the morning? And instead of craving this later in the day, you can have it first thing in the morning and get those sweet tooth cravings out of the way with minimal effects to your blood sugar level. What’s even better is that you can whip this 2-ingredient recipe up in no time. Did I just? Oh yes, I did! If this header is already making your mouth water, keep reading. That’s right. French toast. But not just French toast. NUTELLA French toast. 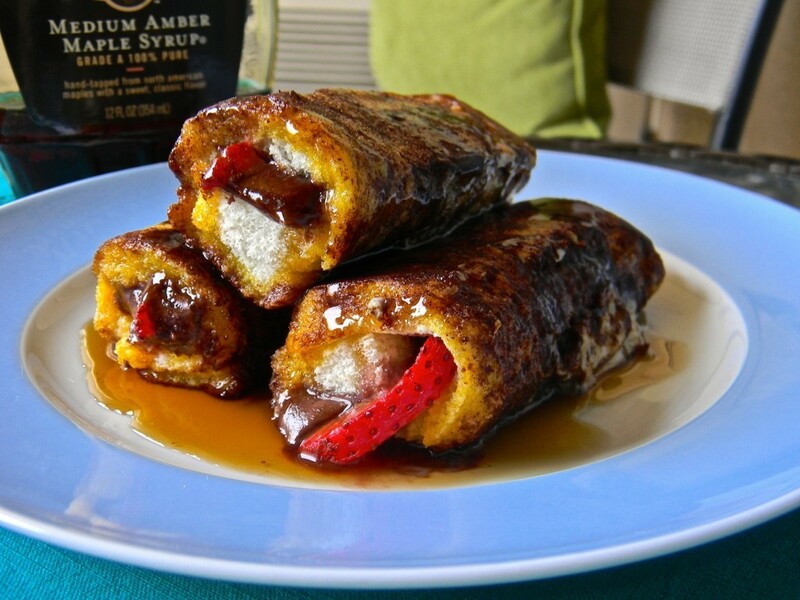 If these decadent Nutella Strawberry French Toast Roll-Ups don’t get you jumping out of bed in the morning, I don’t know what will. It’s a simple treat to take on the go or to show off at the next potluck brunch you attend (you’re welcome). #SpoonTip: Drizzling over some honey instead of going full on Canadian and drowning your rolls in maple syrup helps maintain a good balance of flavours and nutrition. Can’t get enough of French toast? Holla if you’re a chocolate lover who has ever craved any of the following favourites: Nutella, hot chocolate, French toast. 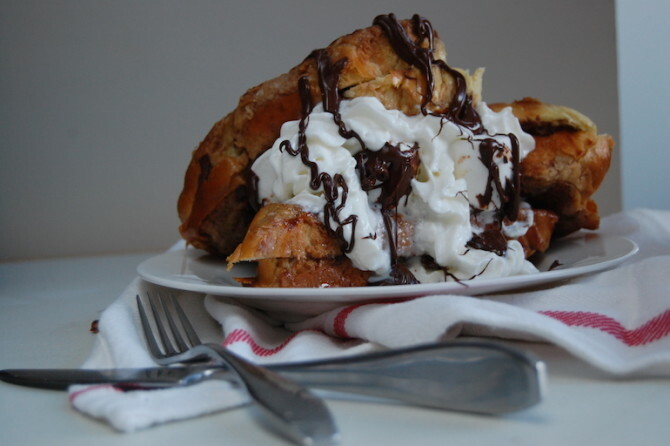 This Nutella-stuffed hot chocolate French toast recipe is a dream come true. The recipe is batter-based, having the main ingredients mixed together to replace your regular French toast batter. Don’t be fooled by the enticing photo of this dish, all those toppings are key in this dessert-to-breakfast conversion. Think Nutella when you’re setting your morning alarms and you’ll have one more great reason to get excited to start your day. 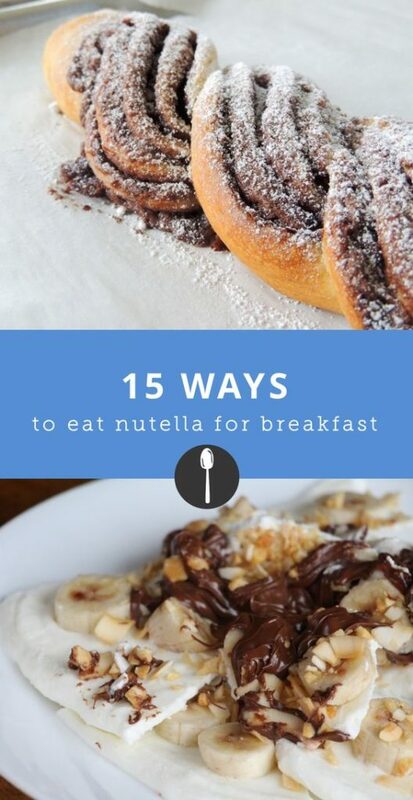 No more skipping breakfast, just more Nutella.